One of my Icelandic friend, Edda, went to London the other day and bought some knitting magasines: look at what she send me! 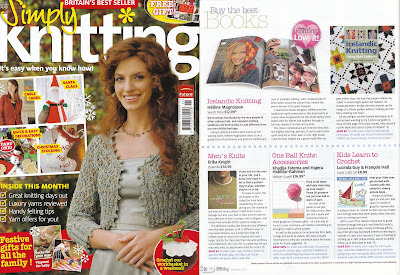 Simply knitting loves me (and I love them too!)! 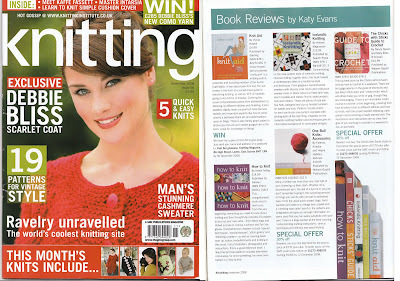 Thank you Katy Evans from Knitting magasine! Click on the picture to enlarge. Une de mes amies islandaises, Edda, est allée à Londres l´autre jour, et comme elle tricote, elle a acheté des magasines et voici ce qu´elle m´a envoyé! Simply knitting m´adore (moi aussi je les adore!)! Merci Katy Evans de Knitting ! Cliquez sur la photo pour lire.